This XE comes with over £5000 worth of optional extras including a Sliding panoramic roof, Premium metallic paint, Keyless entry, Lane keeping assist, Heated front windscreen and steering wheel, Parking aid including a rear view camera. This model also comes with a great range of standard features Heated front seats, Cold climate pack, Interior mood lighting, Meridian sound system, 360 Park distance control, Comfort suspension and coming with the 8 inch touch screen front entertainment system with a inbuilt navigation system, DAB radio and bluetooth audio streaming as well as phone connectivity. A fantastic example of a Huracan Performante in Matt Arancio Anthaeus with an interior of Nero Cosmus and Arancio Anthaeus.This vehicle features the Magneto-Rheologic Suspension and Lift System, LDS, 20 Inch Narvi Rims with Black Calipers and Style Pack. Inside you will find the Sportivo Interior with Alcantara, Branding Pack and Dark Chrome Pack. For your comfort, you will find Electric Heated Seats, Parking Sensors with Rear-View Camera, Cruise Control, and Bluetooth Preparation. This Aventador SV Roadster looks stunning in Arancio Atlas with an equally attractive interior of Nero Cosmus with Arancio Leonis Contrast Stitching and Alcantara throughout.Includes the Branding Pack with Alcantara, Interior Carbon Fiber Pack including Footplate in Carbon Fiber, Magneto-Rheological Suspension with Lift System, Fixed Rear Air Intake in Visible Carbon Fiber, Hard Top in High Gloss Black, Transparent Engine Bonnet and Dianthus Forged 20/21 in High Gloss Black.For your driving comfort, you will find a Navigation System, DAB Radio, Sensonum Premium Sound, Rear-View Camera and more. 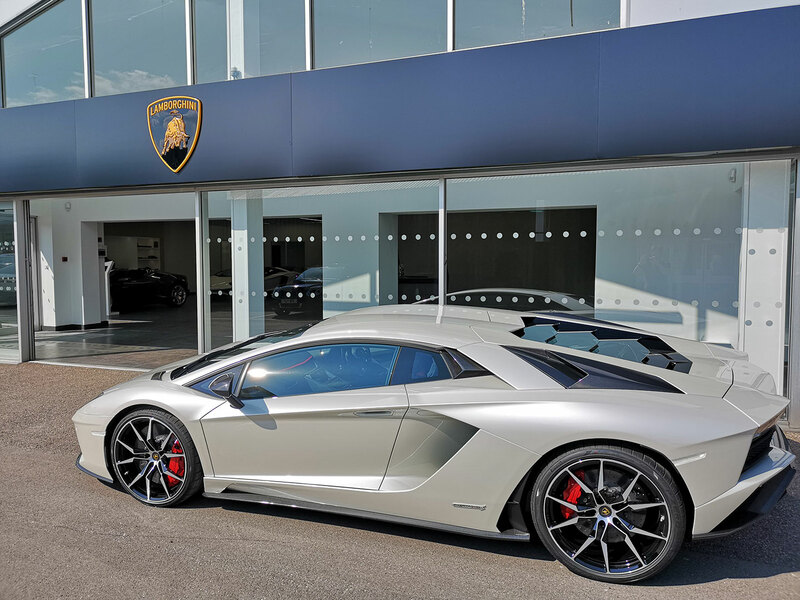 This SV is in pristine condition as Expel Protection Film has been applied to the whole vehicle. Contact us for more information and to arrange a viewing. 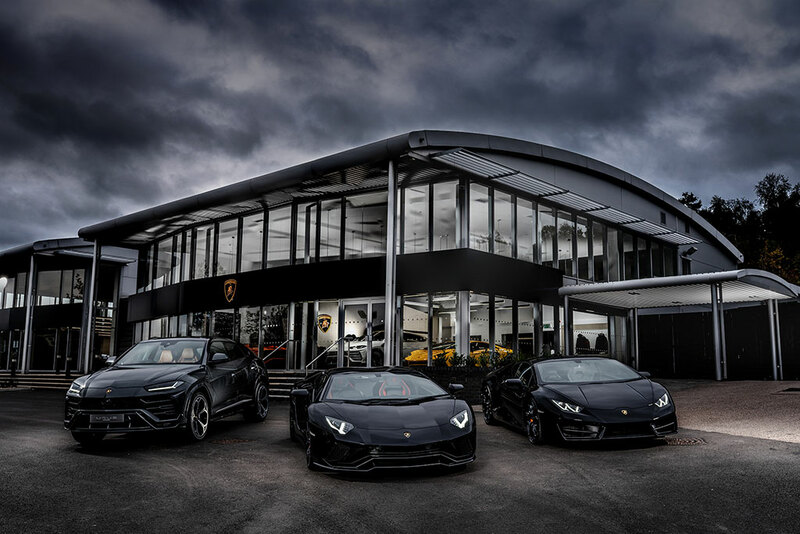 *Vehicle currently off-site* With an exterior paint of Arancio Argos and an Interior of Nero Cosmus with Arancio Dryope with Alcantara, this Aventador SV is guaranteed to stand out. Featuring full Paint Protection Film, Dianthus Forged 21 Inch Black Wheels with Orange Calipers, Carbon Fiber Rear Air Intake, Magneto Rheologic Suspension with Lift System, Rear-View Camera, Sport Bucket Seats, LIS with Nav and DAB Radio and the Sensonum Premium Sound System. Contact one of our sales team for more information. This Lamborghini Aventador S Roadster looks incredible in Nero Aldebaran with Dianthus Rims and Yellow Brake Calipers, Transparent Engine Bonnet, Hard Top in High Gloss Black and the Style Pack. The interior is equally beautiful in Nero Ade with stunning Giallo Taurus Stitching, further enhanced with the Carbon Fibre Pack, Visibility & Light Pack and the S-Trim with Full Sportivo Leather and Details in High Gloss Black. For your comfort, you will also find the Magneto Rheological Suspension with Lift System, Electric/Heated Seats, Rear-View Camera/Parking Sensors, SatNav, Bluetooth Connectivity, DAB Radio and more. Contact us for full specification and to arrange a viewing.